Your busy schedule has no room for a trip to the islands, but your secret is safe when you use this liquid body bronzer. The quick-drying formula glides on easily for a silky, soft feel and natural-looking color. And the transfer-resistant formula keeps it on your skin instead of your clothes. Leave them all wondering about your beautiful, bronze look. This product does not contain an SPF. 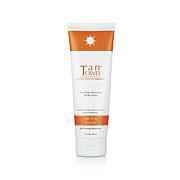 Be sure to use an SPF products for sun protection. Great results & quality, easy application. Benefit Hoola is FAN-TAN-STICK! 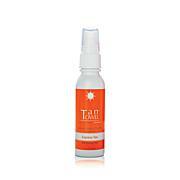 If you are in a hurry to get ready, this is an easy touch of tan! EASY to apply with the applicator. A well thought out quality product. I like to go outside to make sure I have blended it all. Will buy again! So glad I bought 2 when they were half price! 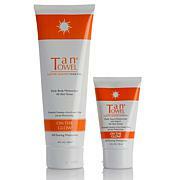 I can use this in between self tanning! No orange color or funky smell, also doesn't transfer to clothes! Definitely is a 'Benefit'! ;-) Thanks HSN & Benefit for 1/2 price sale! Started out with a base tan and then used Hoola. Loved this product. Wish I would of bought more when they had it half price. 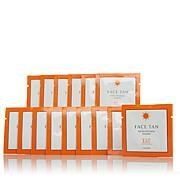 Its not orangey like most products Ive tried. Highly recommend this product!! Thanks Benefit. Very nice. Love the sponge and the color is perfect.